I love food-exploring with them. Together with Chris&Christine and WenChing, we were brought to Zhen Liew Siang (Lau Heong) by Citygal for some real Chinese food that prepared with real wok hei. This is the must have item. 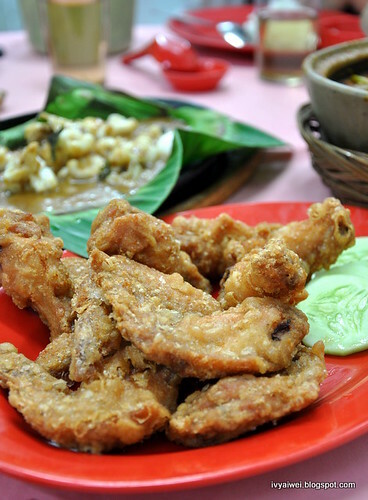 The chicken wings were perfectly fried to golden brown and crispy-ly with a distinctive taste of fermented bean curd (Nam Yu). Crispy on the outside and juicy in the inside. A fingers-licking-good item! 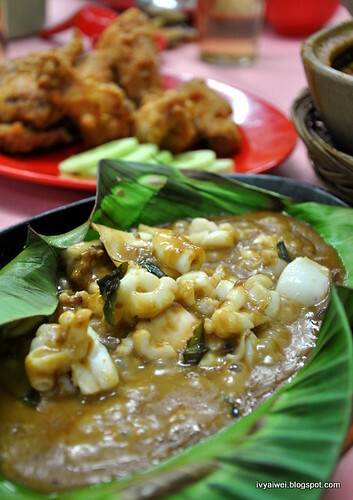 Packed with spices and herbal taste of wolfberries, garlic slices and cili padi. This one was kinda hot as they added too much garlic slices into it. 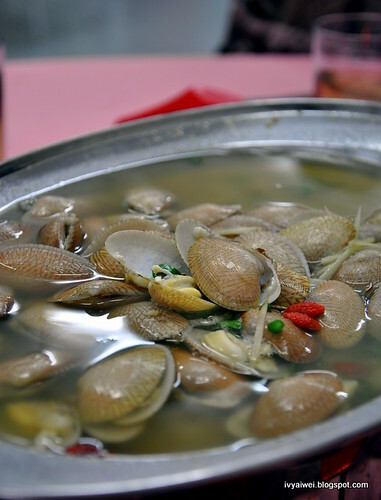 Definitely a great one to warm your tummy. 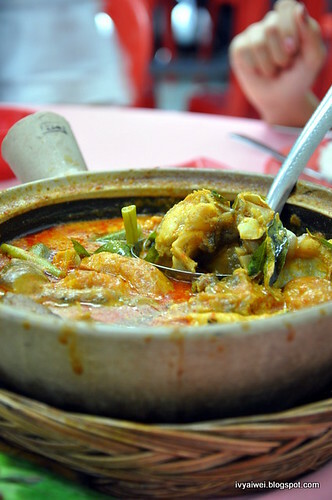 Claypot Fish Curry that goes well with the white rice. This meal for 5 costs us only RM 58. Very reasonable, right?! I want the chicken wing!!! Oooo shall try this next time! Been here before, not too bad, fall in love with the Lala for sure.